The wife of the embattled Governor of Virginia asked the kids to imagine being slaves. Probably not the best look for the wife of a Governor who was wearing black face and/or a KKK hood during his college years. And probably not the best way to celebrate black history month to ask children touring the Governor's mansion to imagine being slaves, forced to pick cotton. 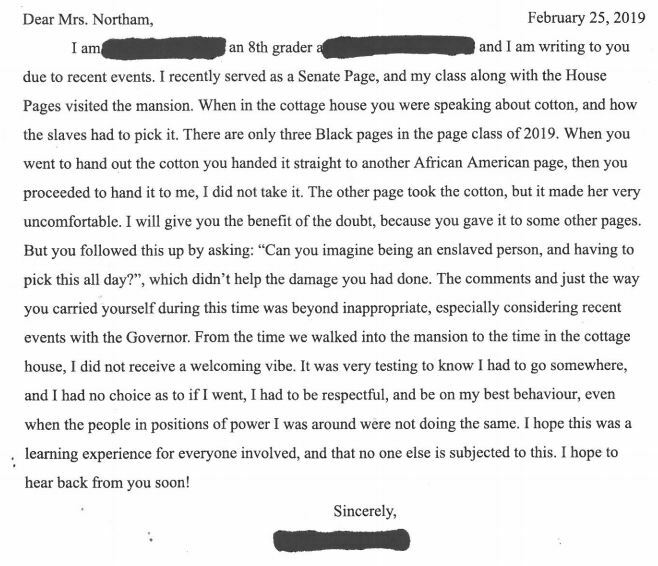 A Virginia state employee has complained that her eighth-grade daughter was upset during a tour of the historic governor’s residence when first lady Pam Northam handed a ball of cotton to her and another African American child and asked them to imagine being enslaved and having to pick the crop. “The Governor and Mrs. Northam have asked the residents of the Commonwealth to forgive them for their racially insensitive past actions,” Leah Dozier Walker, who oversees the Office of Equity and Community Engagement at the state Education Department, wrote Feb. 25 to lawmakers and the office of Gov. 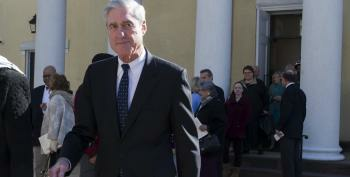 Ralph Northam (D). “But the actions of Mrs. Northam, just last week, do not lead me to believe that this Governor’s office has taken seriously the harm and hurt they have caused African Americans in Virginia or that they are deserving of our forgiveness,” she wrote. Here's the letter from the eightth grader.